“Under Siege” won the People’s Choice award in the Celebration of Labor Exhibit! 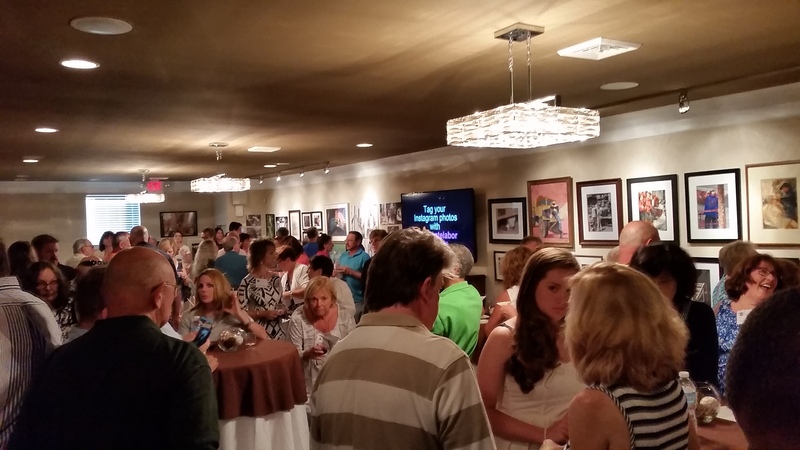 The Artists Reception for the Celebration of Labor Exhibit at the Centre for the Arts in Bristol PA took place on August 26, 2015. 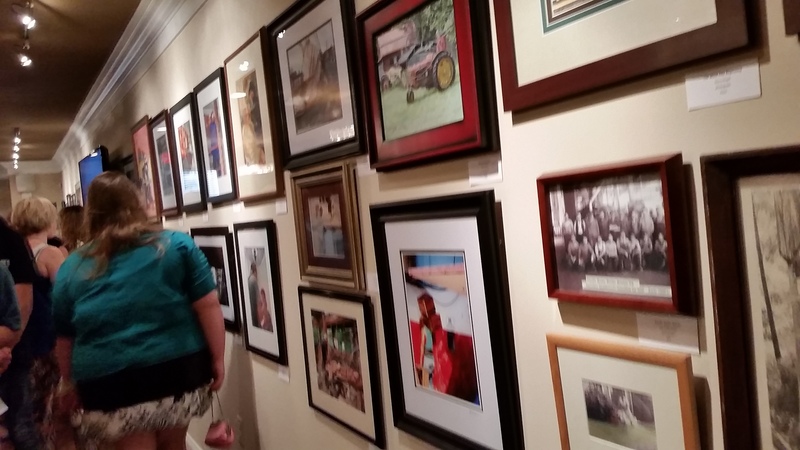 The exhibit features over 100 works by 38 artists. My mosiac “Under Siege” was the only mosaic in the show and was very well received. A number of Mosaic Society of Pennsylvania (MSOP) members turned out for the reception and we managed to gather for a group shot by my mosaic. The exhibit will be open to the public August 27th, September 2, 3 & 9 from noon until 6 pm. Every visitor receives a ballot for the People’s Choice award. I wouldn’t mind if you cast your vote for “Under Siege” or if you decided to add this piece to your art collection. 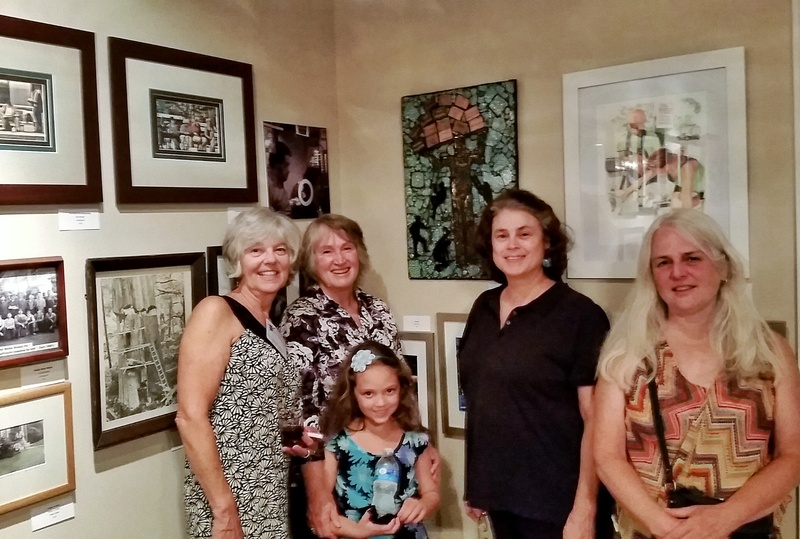 MSOP members – Patricia, Veronica, April and Susan and future member Ruthie. 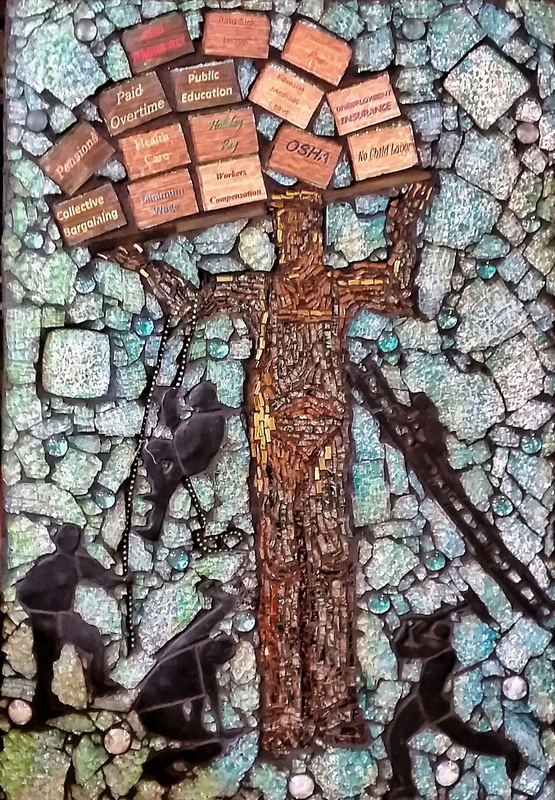 Posted in Available for Purchase, MosaicTagged Kairos Arts, Mosaic, ReceptionBookmark the permalink. Thanks so much! This piece holds so much meaning for me.